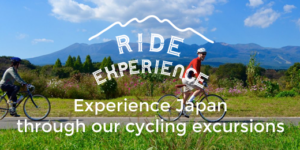 Cyclist Welcome.jp is for cyclists traveling Japan, providing routes and hotel information for the featured areas. Come meander through the sinuous mountains, winding coasts and cliffs, and experience the deep green mosses and overgrown earth of Japan. See the palette of 2,000 colors the Japa-nese language has named through the cherry blossoms, autumn foliage and subdued scener-ies. While here, encounter the quintessential hospitality, Onsen hot spring baths, and foods pre-pared thoughtfully using minimalist and fresh ingredients. Japan is a country of beauty, depth, and mystery etched with thousands of years of history. Our mission is to bring travelers one step closer to the enchantment through fresh air tours on the saddle of your bicycle. So won’t you come join us in Japan? Grab your bike, and let’s embark! We provide area descriptions, recommended routes, and humble to luxury hotel infor-mation. Explore our variety of hand chosen routes. At a leisurely pace, you can indulge in glimpses of passing pastoral rice fields, quotidian streets of Japan, and marks of history on the towns. The idyllic scenery will linger in your memory. What will be your main course this trip? The beautiful landscapes, achieving a new personal record, or filling up on the regional specialties? Before deciding on routes, we’d like to introduce you to our listings of luscious accommodations. We offer choices from Japanese style ryokans, luxury hotels, private lodges, and bed and breakfast cottages. After your adventure winds down for the day, we want to ensure that you can retreat to a comfortable room, delectables and caring hospitality to rejuvenate your mind and body. -Is it possible to park my bicycle in an area that will keep it secure from rain, wind, dirt and theft? -Is there a dress code for the hotel grounds or is it okay to enter the hotel in post-adventure cy-cling clothing? -Can I wash my cycling kits or should I bring an extra set? -Are there facilities available to clean and maintain bicycles? -Is there a French style pump available for borrow? -Can the hotel store luggage sent in advance? 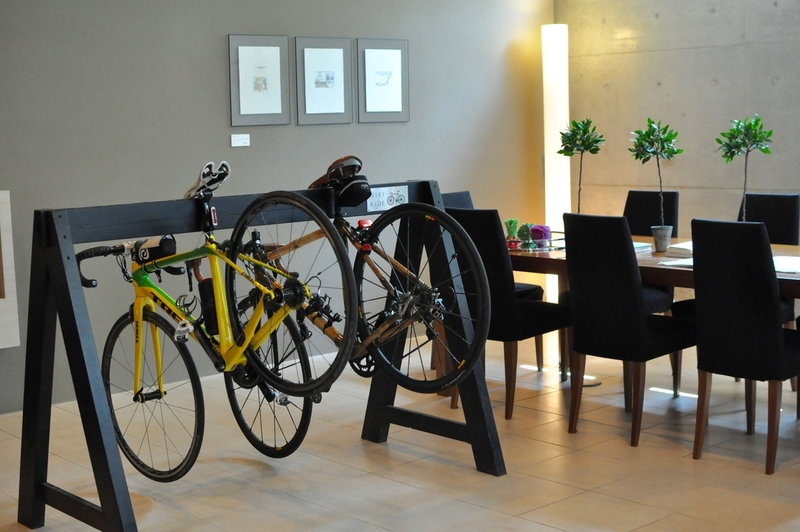 At Cyclist Welcome.jp, we take care of the potential needs, anxieties and wishes related to your cycling travels. All information has been carefully picked after personal evaluations of the first-rate hotels and marked with our Cyclist Welcome Standard (based on European guidelines). With these guidelines, we hope to match your cycling needs with a hotel we believe you will en-joy.